How Long Does Gabapentin Stay in the System? Gabapentin is a drug used in the treatment of seizures, nerve pain and restlessness. It is not a narcotic, and it’s not a controlled substance. Therefore, standard drug tests can’t detect Gabapentin. If you test for Gabapentin, the drug might show as anticonvulsant or sedative. Urine tests can detect the drug for up to two days after intake. Gabapentin, known on the market as Neurontin, is not scheduled as a controlled substance. However, it’s important to know how long it takes for the drug to leave the system, as it leads to some uncomfortable Gabapentin side effects and withdrawal. On top of that, some specialized tests can detect Gabapentin. The average half-life of the drug is 5-7 hours, which means that it takes 1-2 days to get Gabapentin out of your system. Although 48 hours are enough for Gabapentin to leave the system, note that for some users, that process might take longer. A half-life of 132 hours has also been reported (after a dose of 400 mg). Gabapentin can stay for up to two days after intake. Its half-life is between five and seven hours. In general, the drug will be out of your system within 48 hours. However, many factors influence the duration and the elimination of the drug. For instance, patients with renal failure might need around 30 days to get clean. Peak plasma concentrations occur 1-2 hours after intake. The drug is not protein bound, and its half-life is around 5-7 hours. That means that on average, it takes up to two days to get clean. Although the traditional route of administration of the drug is oral, Gabapentin is not detectable by swab tests. Like swab tests, hair tests for Gabapentin are uncommon. However, in general, hair tests provide a longer window of detection. The human body excretes Gabapentin via the kidney (interestingly enough, unchanged). Drinking water or other liquids and the urine pH affect the elimination of the drug. However, as mentioned above, it takes around two days for Gabapentin to leave your system. Even health experts can’t say how long it takes for Gabapentin to exit the system of a user, only because many factors affect the duration and the elimination of the drug. Larger doses lead to slower excretion. In older (over 65) and thinner patients, Gabapentin lingers longer. 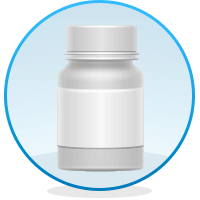 Staying hydrated is something that can help the user get Gabapentin out of their system quicker. Also, acid-forming foods can accelerate the process. Note that in the case of renal dysfunction, the user might need more time to get clean. In patients who suffer from renal failure, it might take up to 30 days. Unlike other drugs, Gabapentin does not break into metabolites in the liver. The fact that the drug is not subject to hepatic metabolism makes Gabapentin a different drug. That also means that Gabapentin can leave your system fast. After intake, the drug is absorbed by the small intestines and then, spreads into the bloodstream. Then, it’s processed by the kidneys and excreted unchanged (at 190 mL/min). As Gabapentin is not a controlled drug, tests rarely check for it. If it shows up, it will be as an anticonvulsant or sedative. As mentioned above, Gabapentin can’t be detected by swab tests or hair tests are uncommon. Blood tests can detect the drug in patients with renal failure, but this form of testing will be more expensive and time-consuming. Although testing for Gabapentin is uncommon, if you are tested for Gabapentin, most likely it will be via urinalysis. Remember that drinking a lot of water and eating acid-forming products can lead to quick elimination. Some users are concerned that gabapentin could trigger a false positive urine test. Of course, that’s if you mix Gabapentin with other drugs. Always use gabapentin as prescribed by a health professional. I have weekly urine test an it shows up an i failed my test an I drank plenty of water for the whole week before an frequently urinated. I take abstention and tegrotol.. I have to take regular urine test they told me I failed for the drug known as sublicense.. I’ve been clean over a year and a half.. Could one of these prescriptions I’m taking have made a false positive on my drug test? I have nerophy in my feet . want to get off gabapentin. Hopefully someone has helped you with this.. but from experience, I would say slow taper. I had to open my capsules and sprinkle a bit on applesauce or pudding etc. for about 2 weeks before I was finally able to stop without withdrawal. God bless.